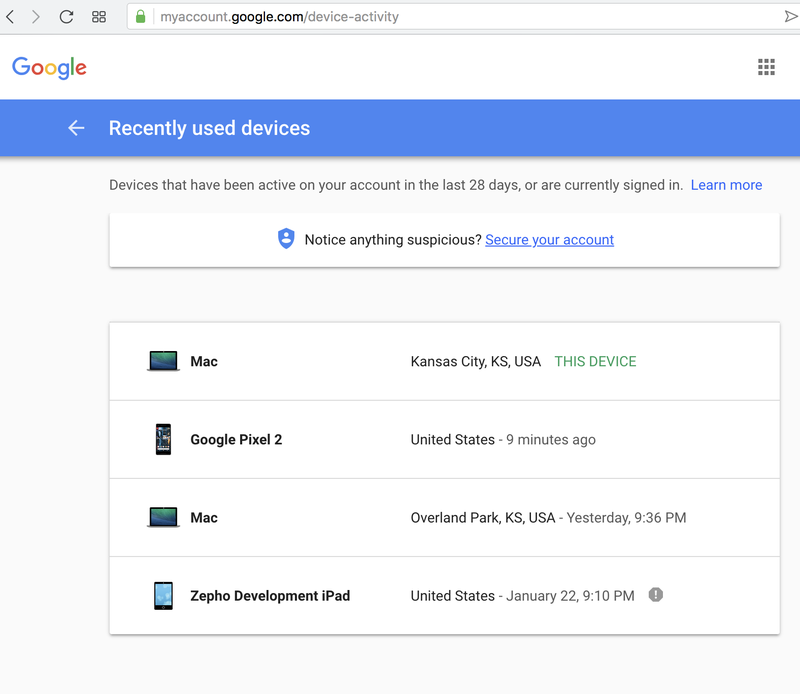 You must be familiar how Google shows the list of devices you have used to login to their services. You might also have seen how Stripe does something similar. You can see the hash: 8693ad6f2f49a559ab88e09ae6f5f1ab. This is unique to the visitor. 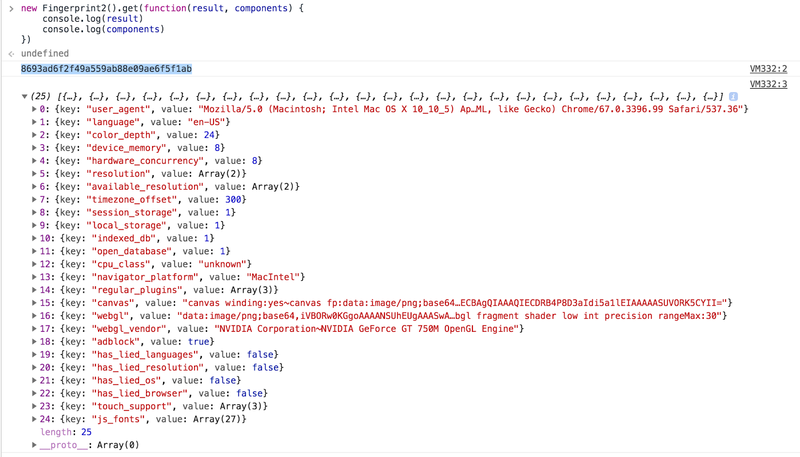 The screenshot shows all the data that was used to generate this unique fingerprint. You can save these data in the database and show unique devices to the user to automatically log them out of devices they no longer use. In order to generate consistent fingerprint for a given browser we must wait. The github page for the library says 50 milli seconds is good but here I am using a delay of one second. Fingerprinting has many uses besides security and limiting illegal sharing of your paid content. You can use it to develop affiliate tracking software. Of course, you have to make it clear to the visitors what data you are collecting and obey the laws.